Weber Spirits II In Stock Now! 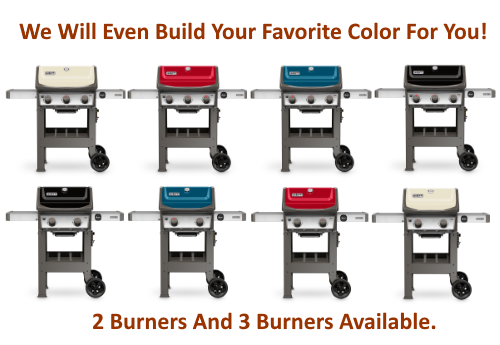 Grill with success with the new Weber Spirit II E-210 or E-310 gas grills. Both grills have spacious grilling areas and convenient side tables for placing serving trays and tool hooks for hanging your tongs and spatulas. Designed with the powerful GS4 grilling system and iGrill capability. You get a great grill without breaking your budget.